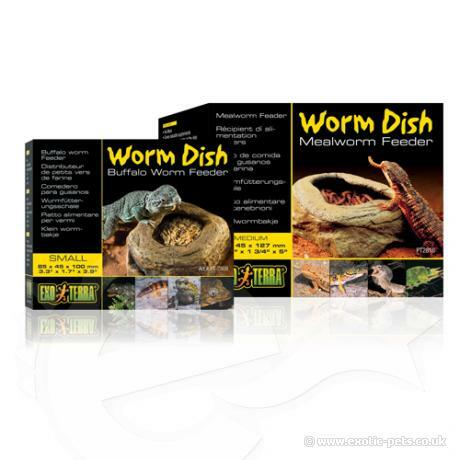 Mealworms are great at escaping and burrowing under substrates; now you can provide your reptiles with an escape proof mealworm dish. The Exo Terra Worm Dish has two parts; a deep base and an edged ring to place on top. This allows your reptiles to see its food and to prevent mealworms from escaping and hiding under the substrate. Vitamin supplements can be used and excess amounts re-used. The dish has a natural look and is easy to clean.